As a child, GlitterGirl was an active pianist, flutist, singer and drummer which led to music composition as part of her music minor in college. Her first electronic compositions came in the early 90's, but were dwarfed by her greater interest in acoustic piano performance which resulted in her original CD, "Welcome to My Reality". 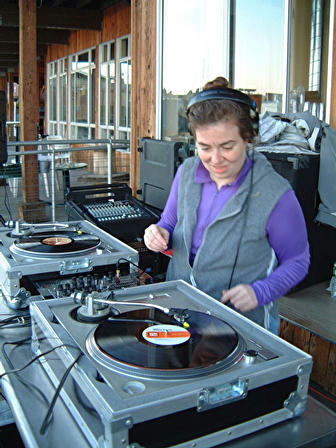 In the late 90's, she discovered the San Francisco house music scene and was hooked on the beats that later spurred her to become a DJ and renew her interest in electronic music production. She's been spinning house and progressive electronic tracks since February 2001 and appeared at her first public event at Burning Man later that year. She has recently restarted her electronic music production work. To obtain a demo, please email dj@glittergoddess.com. For a copy of GlitterGirl's Piano CD, "Welcome to My Reality", please email piano@glittergoddess.com.